Creighton: Micah asks how Jews might come before God for favor and protection: Do right, love goodness, walk humbly before the Lord. Now we ask what the Lord wants, and through the Spirit in us we hear Jesus' echo of the same message. One Bread One Body: People who made great commitments to mere human beings and activities will testify against us, because they showed more commitment than we. Jesus is greater; serve him. DailyScripture.net: Jesus warned his generation when they asked for a sign; he faulted them for spiritual adultery. Jesus himself is the sign. 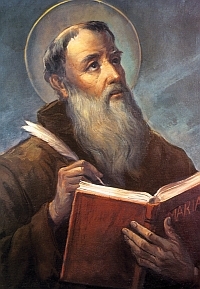 Universalis: St. Lawrence of Brindisi, Capuchin priest, preacher, "apostolic doctor"; see Pope Benedict XVI audience.